We were totally entertained with Joe Cunningham’s lecture at our recent Guild meeting and I think it is safe to say we all stretched a bit at his workshop and spent a bit of time on the floor. 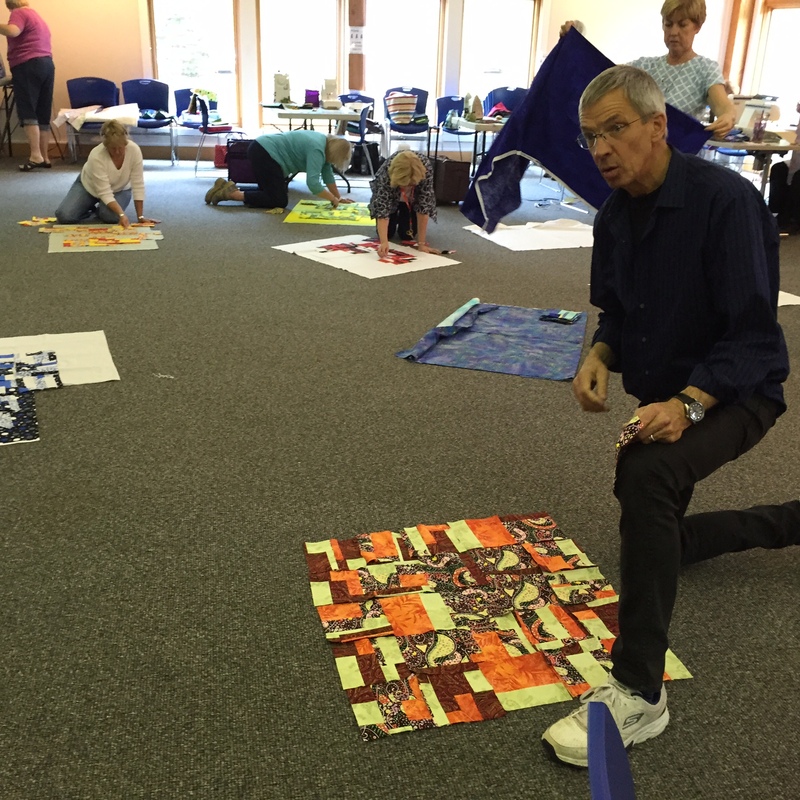 Some of us wrestled with tiny slivers, color choices, following directions, pressing and layout but in the end I think his style of quilt making opened us up to some great possibilities. 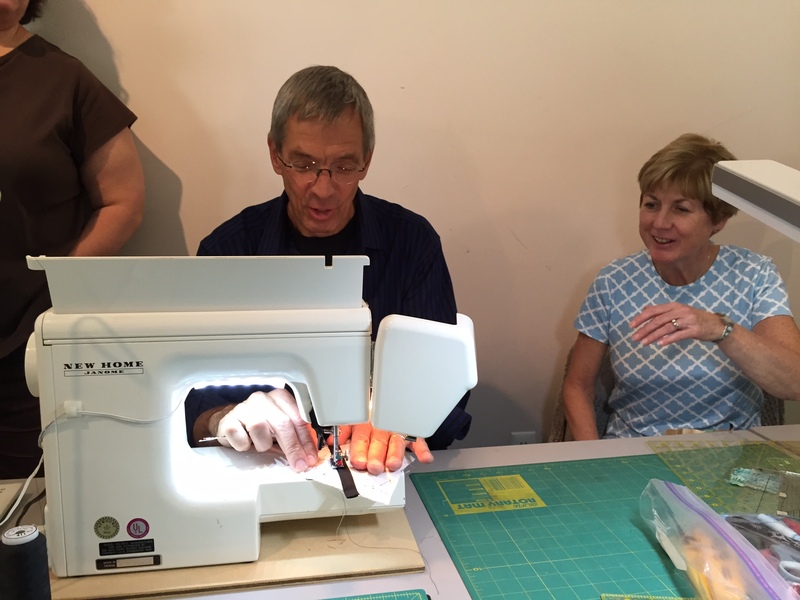 The workshop was considered a huge success. Shopping with him at PFC and The Barn opened me up to his style of fabric selection & bargain hunting! Maddie was a hardworking, gracious host driving him thru at least “43” towns and to the Essex Peabody Museum, the MFA, getting him fed, and from and to airport. Joe enjoyed playing music with my husband, Jim, and the four of us laughed the night away over dinner at the Pub. Even more fun than at the workshop! 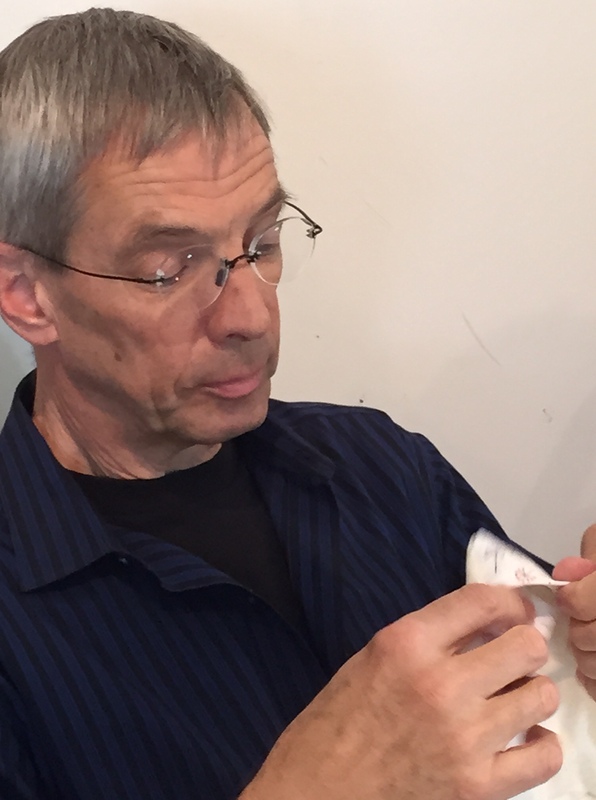 A truly delightful time….so please Joe, come back again soon! 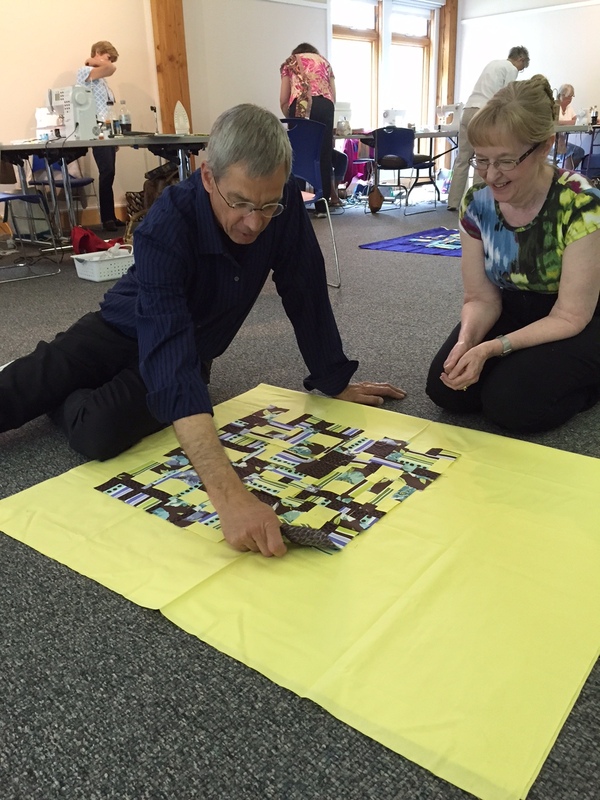 YOUR CHALLENGE LADIES….to show your “Joe” quilts at the June meeting, tops or finished! I’ll be ready and Maddie & I know he’ll be waiting to see the pictures! PS. 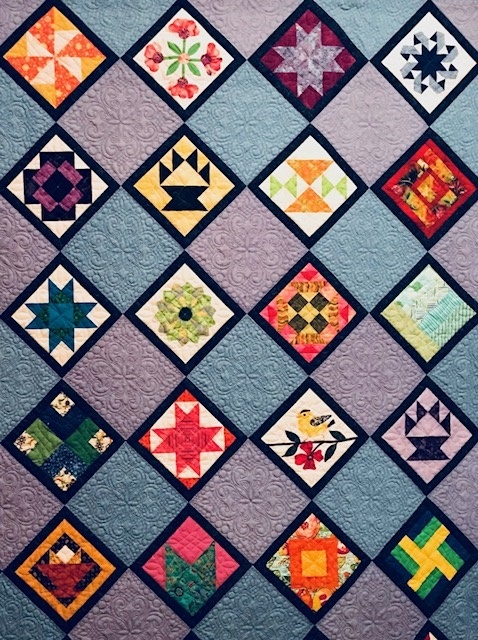 If you left the workshop early you missed three demonstrations: Bias tape application, facing your quilts instead of binding and the big stitch with some clever starts and stops (I have a video on this).